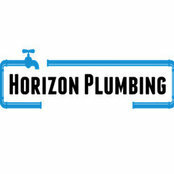 Denis Foley T/A Horizon Plumbing has been providing plumbing quality services as a Registered Gas Installer in Cork and covering the wider West Cork area including Bandon, Kindle, Clonakilty, Dunmanway, Macroom, Bishopstown, Courtmacsherry, Wilton, Skibbereen, Rosscarbery and Ballincollig. As a fully qualified plumber and registered gas installer Denis Foley Plumbing is a plumber you can trust, we’re the only Plumbers Cork that you need to know. All our work is guaranteed and is done to the highest standards. We are fully insured so you can trust us.